I suppose when you’re the Web Boss you have the ability to post whatever you’d like whenever. While I don’t usually do that— I am today. 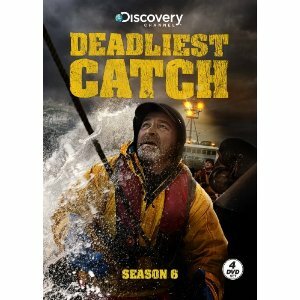 Probably the number #2 show next to Deadliest Catch our family watches in the Discovery network (family) is Pitchmen. The reason is simple, it’s real people doing what they would normally do with or without cameras much like Deadliest Catch. The real appeal for us is the synergy Anthony and Billy have on and off set and the comedy of the two. I ‘d agree with you much like Conan portrayed last week as he and I am not the types who buy from direct marketing spots. But the show is about real people, real jobs and real life. Young Billy furthers the real life aspect by his use of twitter over the most trying times of his life again further showing the “Real Life” aspect. This post doesn’t represent the views of the Hansen’s or Discovery Channel but I for one would like Sully, YoungBilly and Arwen to go into production on Season 2 and see the full number of episodes from the can to the cut and onto the air. Perhaps Sully and Young Billy can form a sullivan-mays production company and use that for charitable work. Better yet sullivan-B-mays (the big B for Big Billy). I know Anthony already has a production company, but his interview with MJ, allowed Anthony to say things in the public view that normally wouldn’t be said and that Billy was part of who Anthony is today. It’s the best way in my opinion to honor the memory of Billy Mays, if it wasn’t for his talent the show would have never gotten off the ground. I don’t know Thom Beers personally but I think it’s fair to say he appreciates the interaction between people and his shows are about the people who—well are usually the forgotten souls that make the world go round. I know TV Shows are about the audience and media buys, but I think another season that spotlights pitchmen and the struggles of the industry is worth it for us the fans of the show as well as the pitchmen of the industry and of course for the memory of Billy Mays. I’ve received numerous emails about, “I must have known Billy”. I didn’t know him personally. However Thom, Sully, YoungBilly and Discovery let me and my family and thousands of others know Billy, the products and the art of the pitch. As a Web Boss (jack of all trades media) I have a natural fondness of seeing video productions, behind the scenes, media editing and I like comedy. It was the perfect show—pitch perfect some said. The audio clip Anthony talks about season 2 was signed on for with Discovery and Billy was to be the official Taco Bell spokesperson. 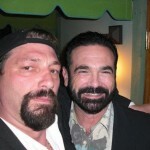 Be sure to find @YoungBillymays on twitter as he is planning to start a foundation as a memorial to his late father. I’ve expressed to him I am willing to help in way I can. Also note that the writer has corrected the online version of the article and no-longer refers as StepSon, I recieved this email today so be sure to thank Drew for the correction. Tampa police reported that he was Mays’ stepson, so we wrote it that way. I have changed the story to say “son” in the online version and referred this to an editor. Thanks for your e-mail. 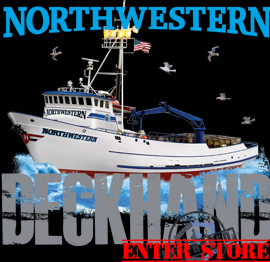 Also a fan sent these in to us last night at our fans@fvnorthwestern.com addy and yes we know it’s the time bandit boys but they are true friends of Northwestern and Crew. 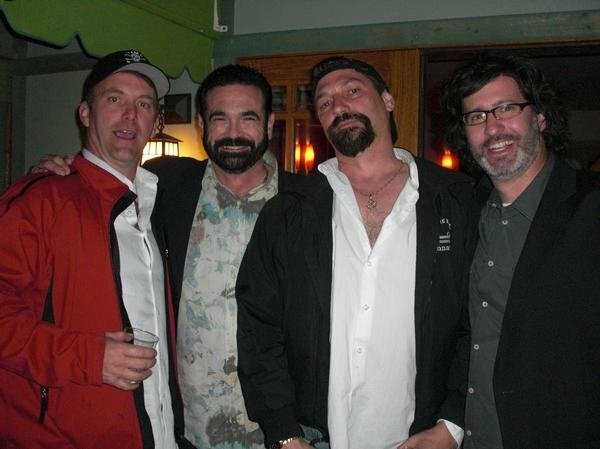 (L-R) Capt Andy, Billy Mays, Capt Jonathan & Jeff? 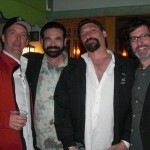 This event is planned to strt at 6:00 am on Jun 29, 2009 at United States. 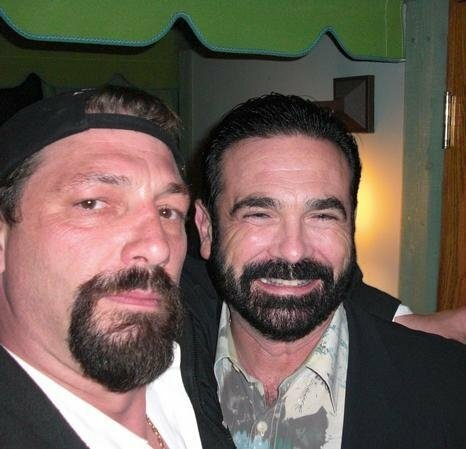 TAMPA — Preliminary autopsy results for TV pitchman Billy Mays suggest he died of heart failure, the Medical Examiner said today. The autopsy done this morning reveals no evidence of head trauma or drug abuse, said Medical Examiner Vern Adams. There had been speculation that Mays might have been injured during a hard landing at Tampa International Airport Saturday. Here are some list of clips, articles and other news related to the day’s events.